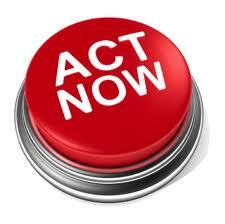 630 people have completed our Tracker Rate Class Action Registration Form as I type this update. Of those, 300 had signed up to the Bank of Ireland Class Action campaign which we started in early March 2013. The remaining 330 have signed up in the last week since the announcement from the West Bromwich Building Society that 6,700 landlords will have their tracker margins increased by 2% on 1st December 2013. Our campaigns were referenced in The Telegraph on Saturday and The Sunday Times yesterday. We have also been referenced in several blogs and Facebook groups. 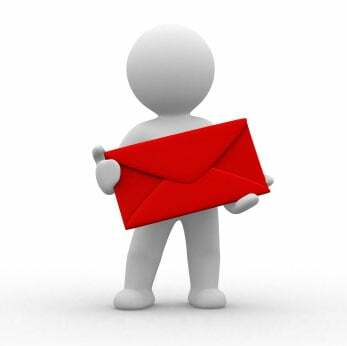 I came in this morning to a very full inbox and whilst I have endeavoured to reply to everybody, please excuse the brevity of my responses if you are one of the people who contacted me, I’m sure you will understand. The complaint letter template has been well received and I’m hoping that West Brom will have a very heavy mailbag this morning and for the foreseeable future. On Twitter, a hashtag is being used to drive interest, it is #MortgageMugging – I didn’t create the hashtag but it does explain how we many of us feel to let’s all use it. We are asking Twitter users to visit the hashtag regularly and to re-tweet all relevant tweets posted by others. I had a long telephone conversation with Justin Selig this morning in which I explained that we have gained some momentum but my fear is that we could lose that if people don’t have clear direction and a very good reason to sign up and pay up now. What is the “early bird” incentive for people to commit to fund raising? If all affected borrowers benefit equally, whether they have contributed or not, then human nature will more often than not be to do nothing. I suspect this is what the lenders are relying upon and it is my biggest fear. Litigation isn’t going to be cheap and it appears I may well have significantly under-estimated costs when I predicted that we will need to raise around £100,000. 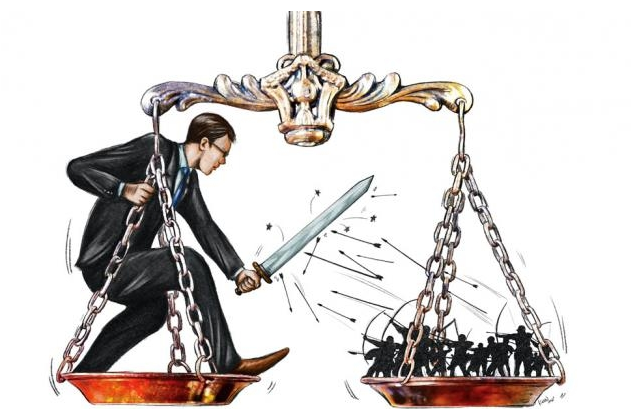 The cases have similarities but they are not the same, therefore we could be fighting two separate Class Action cases. It is still unclear whether one test case case against each lender is the way to go or whether we should bring one case against each bank to represent all affected members of each Class Action. The reality is, we need further advice from Counsel, however, bearing in mind that only £10,000 was raised to fund the initial campaign we have made very good progress so far. We have a barristers opinion on the BoI case and we also know where we stand with the FCA having placed Counsels 32 page report in front of them outlining the legal bases of our grievances. We have not yet had a response from the FOS but I don’t think we should be holding our breath on that one. During our conversation Justin and I agreed that we should seek further advice from Counsel on what we should do next. As I expected, Justin was a step ahead of me and reported that a QC in the same chambers as our barrister has agreed to provide further opinion free of charge! I have no idea how Justin pulled that one off but we all owe them both a debt of gratitude for that. Once we have the responses from Counsel Justin will be in a position to seek quotes for legal fees insurance. That will give us a much clearer indication as to how much money we will need to raise. Is there a way to ensure that only those who contribute to the fundraising will benefit? If so, could the fund raising be phased to give ‘early birds’ an incentive, e.g. first 300 in pay X, next 300 in pay Y, everybody after that pays Z? We don’t know how much we need to raise because we don’t yet know what we are going to do next. We need to be clear about this before we recommence fund raising. What we do know is that we need to obtain Counsels opinion on the West Bromwich Building Society case and advice from the barrister on how to proceed, this will cost around £4,000. What is counsels opinion of the legality of the proposed actions by West Bromwich BS? What constitutes a professional investor? The case of the OFT vs Foxtons was unclear but West Bromwich have decided that it is anybody with three or more mortgages. What is the legal relevance of this? Can we get an injunction to delay the increase pending a Court Case? If so what’s the cost? Can/should affected borrowers use the Small Claims Court to make claims for breach of contract? If so, what do they need to do? Could an advice pack be created and sold to raise funds? Should affected borrowers write to their solicitors asking them to comment on the advice (or lack of it) they provided at the time at the time of arranging the mortgage(s). Should these solicitors be advised to put their PI insurers on notice? If so we need letter templates. Could these be included in the same advice pack? I am also concerned about what happens if we have a further round of fund raising for either case and we don’t raise enough money to take the case through to its final conclusion. What should we do about getting started and/or refunding money paid? It’s a ‘chicken and egg’ scenario because logic suggests that more people will join the fight once it gets started properly and media coverage increases, but to what extent? Do we commence proceedings against Bank of Ireland and/or west Bromwich BS and effectively gamble on more people signing up? If they don’t, and we exhaust all of the funds raised, what then? Do we use new money raised to put more pressure on the FCA? For example, we could instruct Justin to engage Counsel with a view to writing a response to the FCA expressing our concerns that firstly they are not taking an impartial view of this and secondly, contrary to what they reported earlier in the year to Andrew Tyrie MP, this is not an isolated incident and could potentially cause carnage if other larger lenders follow suit. My opinion is that the FCA’s response is a whitewash. They have simply used the BoI response to our case as a reason not to pursue it. They have not obtained their own independent advice so the FCA is not acting as an independent arbitrator. The BoI response is a note from their barrister who they asked to find ways round our argument. It is not an independent review of the actions of BoI. The FCA has not given us a chance to respond to the BOI arguments. They have simply taken the BoI version and gone with it. My own gut feeling is that we should press this issue and seek support from Andrew Tyrie MP because he clearly thinks the actions of BoI were unfair and is therefore likely to feel the same way about the actions of West Bromwich BS. The above really is the tip of the iceberg in terms of the many questions and concerns I have at this stage. However, it is important for everybody to know what we are up to behind the scenes. The bottom line is that we are going to need a lot more support whatever happens. Therefore, I am asking everybody who has registered to date to persuade at least two more people to register for the Class Action in the next week and then get them to do the same. By the time that’s done, Justin should have more answers for us from Counsel and the direction we need to head in should be far more clear to us all. Is there a trend? First the Bank of Ireland raised their Tracker rates and now West Bromwich Building Society have followed suit, will Mortgage Express copy and raise their rates? We borrowed a tidy sum from Mortgage Express and have been enjoying the “Product Variable Rate” of 1.75% above the Bank of England Base Rate. The rate seemed secure but West Bromwich Building Society’s recent move to increase their tracker rates worries me. If West Bromwich BS get away with this, then will Mortgage Express have a punt as well? 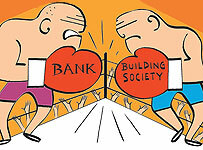 Their reputation these days is of doing all they possibly can, fair or foul, to get borrowers to re-mortgage to other banks. I’ve looked back at my mortgage offers from Mortgage Express and it looks hopeful for us. The mortgages started as either discount or fixed rates and then reverted to the “Product Variable Rate”. The first one we took out in 2001 and then we renewed the deal with various extra drawdown loans and new discount rates etc. On first impression, the renewals all seem to refer back the original contract rather than start new ones. The key phrase in the original 2001 agreement was straight: “the interest rate will be 1.75% above base rate”. I trust it still stands. Another Mortgage Express mortgage offer (2004) states “a variable rate of 6.5% (which is 1.75% above the Bank of England Base rate – currently 4.75%)” and later it states that the rate “will revert to the variable rate …. for the remainder of the term”. The separate “Conditions 2004” booklet did contain a section on Mortgage Express’s rights to change the interest rate but it started “If the interest rate is one which we can vary at our discretion …”. So again this looks good. However, I hear from Property118 that West Bromwich have no clauses in their offer letters referring to their rights to increase their tracker margin. Also they didn’t refer to their special conditions booklet (which presumably did have some text providing for when and how the tracker margin might be changed). Finally, they ignored the October 2004 mortgage regulations cut off date. Property118 also reports that Bank of Ireland did keep to those 3 rules and they seem to be getting away with it. So, now West Bromwich have gone further than Bank of Ireland and we all wait to see if they’ll get away with it. Mortgage Express would need to push the boundaries further still, I guess. I suppose they are first waiting on the outcome of the West Bromwich’s move. Are you worried as well? Yesterday the Treasury Committee published a letter sent to Andrew Tyrie MP from Martin Wheatley, Chairman of the Financial Conduct Authority dated 20 May 2013 regarding the Bank of Ireland’s recent move to increase the margin differential on its lifetime tracker mortgages. 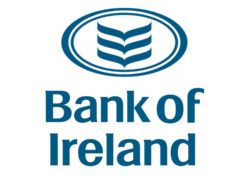 “In February this year Bank of Ireland UK wrote to 13,500 mortgage customers to advise that their base rate tracking differential would increase on 1st May. This increase is permitted by a specific clause in these mortgage contracts, which allows an increase in the interest rate differential after the guarantee period (after 31 December 2006). This change reflects the significant increase in the cost of funding these mortgages since 2008 and the need for banks to maintain greater levels of capital. In line with the Bank’s commitment to treat all customers fairly and as part of our ongoing management of customer complaints we have identified two groups of customers where we will not be applying the increase to their base rate tracker mortgage. We have written to these customers and the Financial Conduct Authority has been informed of our decision and is supportive of our approach in excluding these customers. The first group specifically relates to 1,000 Flexible mortgage customers who were actively using the flexible facilities on their mortgage account. These customers received a specific administrative letter linked to their transactions that might have caused some customers to believe the differential was for the term of their mortgage. The Bank has decided that anyone who has received this administrative letter will not have the increase in differential applied. The second group of c. 200 customers are those that switched their mortgage product to a base rate tracker mortgage. These customers received documentation detailing that the differential on their mortgage was variable, but the mortgage conditions they received did not detail the circumstances under which the differential could be changed. As a result we are also removing these customers from the pool. At the time of writing this post over 20,000 people have read our original forum thread over on Property118 and nearly 700 comments have been left. Affected borrowers were outraged when we first released the news of the Bank of Irelands intentions and many others with tracker rate mortgages became fearful that if Bank of Ireland get away with this other mortgage lenders will follow suit. Our article was picked by Google News very quickly and this sparked massive media interest. We are very grateful for the Press coverage, especially the BBC, The Times and several mortgage magazines who have worked very closely with us and used the Property118 forum to engage with affected borrowers to add a human element to their reports. As the thread progressed Property118 contacted Landlord Action and Paul Shamplina put us in touch with his new business partner, Julstin Selig at The Law Department for advice advice on starting a Class Action. Funds from The GOOD Landlords Campaign (administered by Property118) were used to underwrite Counsels opinion which amounted to over 40 pages of legal advice from one of London’s leading banking barristers at 11 Stone Buildings. Contributions to the Class Action fighting fund of £100 + VAT per affected borrower now amount to nearly £10,000. This money has paid for legal advice to both residential and BTL borrowers who have signed up and a case has also been prepared by barristers for submission to the OFT, FOS and the FCA to demonstrate why the BOI’s actions are illegal and should be challenged in Court by regulators in the public interest. If the OFT can be persuaded to fund the case at litigation this will avoid the need to raise hundreds of thousands of pounds to fund costs and will also negate the risks of the Class Action being ordered to pay the BOI’s legal costs in the event of losing the case. I issued the following statement to the Press yesterday “Clearly there is only so much legal advice that the funds raised to date can purchase so it is imperative for more affected borrowers to join the Class Action. The legal steps to date could be described as “Gorilla Warfare” against the Bank of Ireland and the submission to the OFT is effectively a call to bring in the Cavalry. Some affected borrowers have questioned why a Court Injunction has not been applied for to defer any rate rise until a legal case has been heard by the Courts. The reality of the situation is that a lot more funding would be necessary for such action. Hopefully this is the action the OFT will take but in the meantime it is vitally important that thousands more affected borrowers join in. Far too many affected borrowers seem to be hoping to take a free ride on the back of others’ commitment and I would urge those people to reconsider their position in order to accelerate progress. If you are affected by the BOI Tracker Rate Differential change please sign up to the Class Action (see the link below). DO NOT allow Bank of Ireland to get away with this. We appointed Justin Selig to advise thousands of landlords and residential mortgage borrowers across the UK on the day that news broke of the Bank of Ireland intentions to increase the differential on tracker rate mortgages to 4.49%. For some borrowers this means an increase in monthly payments of over 200% starting from today. Over 16,000 people have read our forum page at the time of writing this article and press including the BBC have used the forum to make contact with affected borrowers.